Anyone can feel like the captain of their ship when they shop our selection of nautical home decor. We offer a range of items here that will add a little - or a lot - of seaworthy style to your home or office. 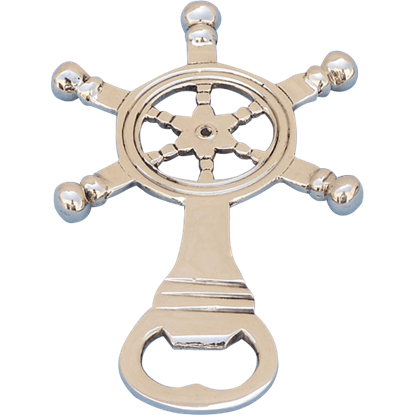 Our home decor items here all feature aspects of classical ship imagery, such as compasses, anchors, and ship wheels. 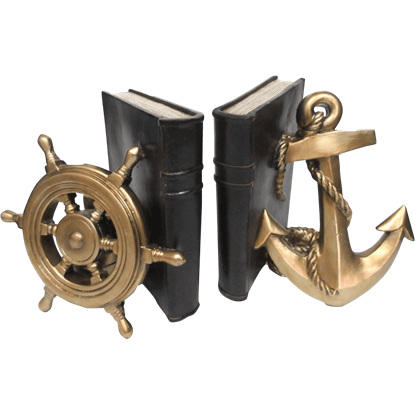 Shop here for anchor bookends, ship wheel mirrors, nautical vases, pirate captain door knockers, nautical trinket boxes, and all other home accents with a historical sailing vibe to their designs. 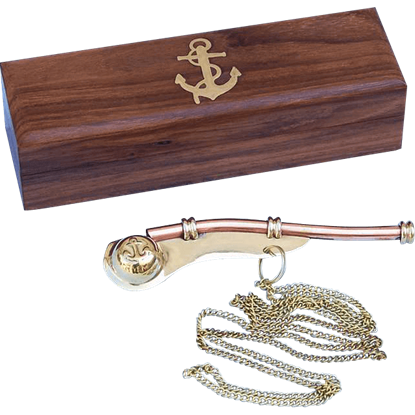 The Boatswain Whistle is one of the oldest and most distinctive pieces of nautical equipment. The boatswain pipe, whistle, or flute was first used in Ancient Greece and Rome to keep rhythm in the stroke of galley slaves.